MAY 28TH, WEDS, 7PM. THIS IS A FREE EVENT. Ever wonder what your sleeping adventures are telling you? 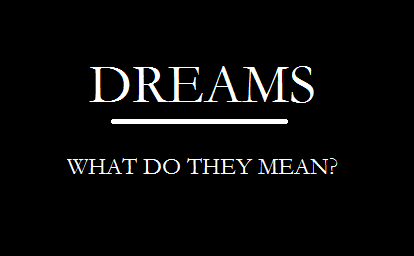 Are you able to predict situations based upon your dreams? Do you have dreams about your past? Your old school, house or job? Join in our live hangout chat on Google hangout and share your experiences as well. ALL MEDITATIONS START AT 7PM. Please pass on the message, and feel free to bring a friend! EXAMPLE OF IN CLASS WORKSHOP. THE FOLLOWING IS AN EXAMPLE OF WHAT IS DISCUSSED DURING THE WORK SHOP. Negative thoughts cause negative outcomes. A thought excels the speed of light, therefore you must nip it in the bud before it processes in the mind, you do this by being conscious of your thoughts. Every thought that you allow in has an effect on your life. Every thought that you send out has a vibration which resonates around your energy. People will pick up on it and treat you according to your thoughts. People, who hold thoughts of hatred, malice, envy and the like, are negative forces in society and create a disturbance in the flow of loving energy. Like thoughts attract like company – A man is known by the company he keeps. 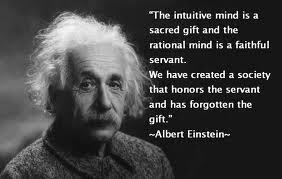 INTUITION IS A PART OF EACH OF US! Our minds are an expression of our infinite power. ~ The transfer of information between people. This usually happens between individuals who are close. Could be daily, weekly or monthly, and it can be in the form of a word sentence, paragraph or story. Do things to take you out of your comfort zone. Love each other because love comes from God when you love others you are loving God say’s before you come and worship me, first go and make peace with those who have upset you. All things you ask for in prayer you will receive. You must exercise faith. Give thanks in advance as if you have already received it. How do you pray with faith? Even when you are praying and after your prayers the reasonable mind will try to convince you that you are not getting it. Once you start thinking this way you are setting yourself up for failure. Some people call this the devil, but it’s not the devil. It is an unbalanced consciousness. Do not give into the rational mind. Challenge it in the subconscious mind. Hold on to your vision with a positive mind set even when the conscious mind is telling you it’s not possible. Jesus showed this is possible with the five loaves of bread and two fish. Through every thought, we feel and then we act. Then we expand into better human beings. If we are trying to advance and we think negative we’ll only stay negative. If we want that new job, that new home, new car, we have to feel it taste it know it and live it. Even when something is negative we must turn it into a positive. For generations our human race has been eating unhealthy. They make excuses for it. They try to work around eating healthy and now we have developed something called diseases. God said “I give you every seed-bearing plant on the face of the whole earth and every tree that has fruit with seed in it. They will be yours for food. And to all the beast of the Earth and the birds of the air, and all the creatures that move on the ground- everything that has the breath of life in it- I give every green plant for food. They began to crave other food and again the Israelites started wailing and said “if only we had meat to eat” we have lost our appetites. We never see anything but manna. The information is not meant to diagnose, prescribe or treat illnesses. Since the beginning of time humans have experienced what seemed to be insurmountable trials and tribulations in their lives that would sometimes cause crippling circumstances. With prayer, however, they have found that healing was possible and real. With committed reverence to Prayer many individuals have risen out of their uncomfortable situations in the past and still do today, and eventually view the issues as a way in which they became better and stronger than they ever were. Whether your turbulence is emotional, physical, mental or spiritual there is an answer, it is Prayer. Prayer manifests through the power of LOVE and filters into the wisdom of FAITH and heals the the di-eases in the mind, body and spirit. Through love and faith we learn how to be strong in times of trouble and become steadfast on our path to victory. While on our path it is not always an easy task staying strong during times of sorrow, and that is when a helping hand is appreciated. A hand from a compassionate friend who is willing to join you in prayer and who understands your walk, and wants nothing more than to see you smile in the sun and shine brilliant like the star you are. When we have that helping hand it intensifies the power of prayer so we can go about our lives knowing that each trial and tribulation will pass and will eventually make us stronger. If you wish to be added to my prayers and meditations please leave me an email. You do not need to explain your situation or go into detail about your sorrow, just your name and desire to be lifted up in prayer is all you need to reveal.